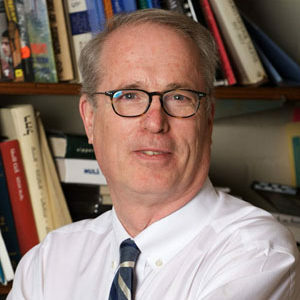 Michael Stanislawski, Nathan J. Miller Professor of History, specializes in Jewish, European intellectual and Russian history. "A Jewish Monk? A Legal and Ideological Analysis of thje Origins of the "Who is a Jew" Controversy in Israel, " in Eli Lederhendler and Jack Wertheimer eds., Text and Context: Essays in Modern Jewish History and Historiography in Honor of Ismar Schorsch (JTS, 2005). "Introduction," to Vladimir Jabotinsky, The Five, translated from the Russian by Michael R. Katz (Cornell, 2005). "Towards an Analysis of the 'Bi'ur' as Exegesis; Moses Mendelssohn's Commentary on the Revelation at Sinai," Neti'ot Ledavid; Jubilee Volume for David Weiss Halivni, ed. by Yaakov Elman, Ephraim Bezalel Halivni, Zvi Arie Steinfeld. (Jerusalem: Orhot, 2004). "Reflections on the Russian Rabbinate," in Jack Wertheimer, ed., Jewish Religious Leadership: Image and Reality, vol. 2 (JTS, 2004). "Simone Weil et Raïssa Maritain," Cahiers du Judaïsme, 11 (2001-2002) 97-107. "Eastern European Jewry in the Modern Period (1750-1939), " in Martin Goodman, ed., The Oxford Handbook of Jewish Studies (Oxford, 2002). "Von Jugenstil zum "Judenstil": Universalismus und Nationalismus in Werk Ephraim Moses Liliens," in M. Brenner and Y. Weiss, ed., Zionistische Utopie-israelitische Realitat (Munich, 1999).